Of the nation’s estimated 33,000 museums, over 1,070 are currently accredited. Accreditation is a very rigorous but highly rewarding process that examines all aspects of a museum’s operations. To earn accreditation a museum first must conduct a year of self-study, and then undergo a site visit by a team of peer reviewers. AAM’s Accreditation Commission, an independent and autonomous body of museum professionals, considers the self-study and visiting committee report to determine whether a museum should receive accreditation. The Illinois State Museum inspires discovery and caring about Illinois’ cultural and natural resources and heritage. The Museum’s extensive collections and research activities provide the foundation for exhibitions and public programs that tell the story of the land, life, people, and art of Illinois. 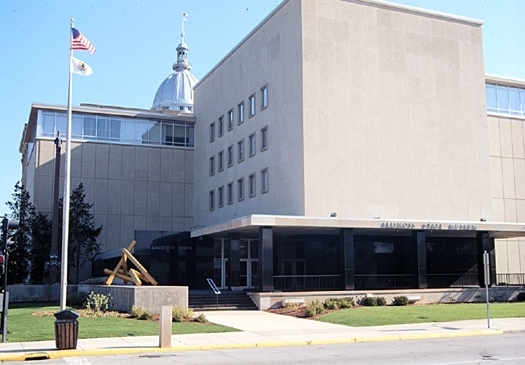 The Illinois State Museum is headquartered in Springfield. ISM facilities are located in Springfield, at the Dickson Mounds Museum near Lewistown, and at the Illinois State Museum Lockport Gallery in Lockport. For more information on the ISM, go online to www.illinoisstatemuseum.org.